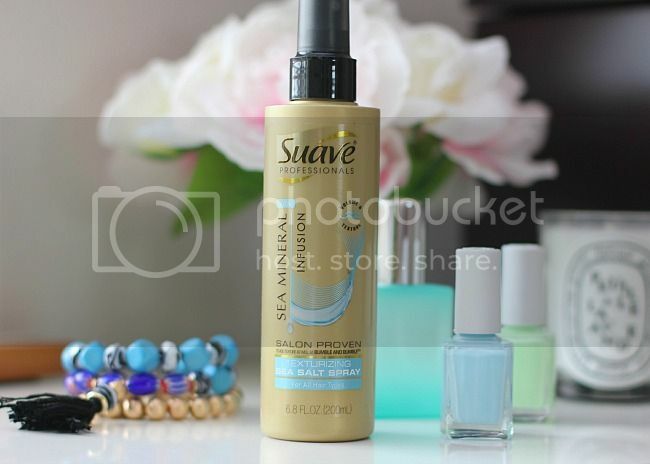 recently Suave® has introduced their New line of Suave® Professionals Sea Mineral Infusion products. these Suave® Professionals Sea Mineral Infusion product designed to bring you spa quality right to your home without the cost or the time! for a mom like me who rarely gets a moment to myself let alone time to make it to the salon these products are just the answer. getting ready is made more luxurious with the Suave® Professionals products. the NEW Suave® Professionals Sea Mineral Infusion is a spa inspired range of products infused with a carefully chosen blend of luxurious minerals from the sea. for centuries, the Dead Sea has been known to contain the earth's greatest concentration of skin rejuvenating minerals and now these minerals have been infused into an entire line of products. while i was sent the entire line of products to try (the whole line is a win, seriously!) i wanted to share just a few of them with you. first was the NEW Suave® Professionals Sea Mineral Infusion Texturizing Sea Salt Spray that helps create a loose, textured look with full-bodied waves that last up to 24 hours. i have a serious 'wave' addiction and anything that can help me keep lasting waves all day long is an immediate favorite. salon quality hair doesn't have to come at the steepest price possible. next i also tried the NEW Suave® Professionals Sea Mineral Infusion Exfoliating Body Wash is proven to smooth skin as well as AHAVA® Dead Sea Mud Exfoliator2. i am a serious self-tanning junkie and i love sporting a glow all year long. a great exfoliating product is necessary for skin prep prior to tanning and this NEW Suave® Professionals Sea Mineral Infusion Exfoliating Body Wash is excellent for that purpose. this wash is infused with Dead Sea Salts and polishes away impurities to leave skin perfectly soft. the luxurious fragrance is an added bonus. these NEW Suave® Professionals Sea Mineral Infusion are worth taking a minute and trying. getting spa ready from home can be easy and affordable. you can find products on Amazon, at Target or use this product locator to find some nearest you.